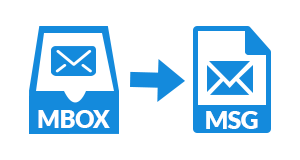 The MBOX to MSG migration tool exports email folders like Inbox, Outbox, Draft, etc., in a smooth manner. User-created mail folders are also converted with this tool without any extra efforts. The structure and mail settings remains intact after the conversion. 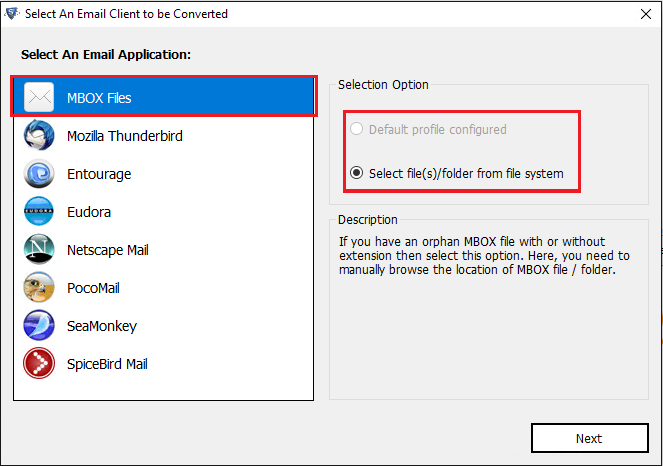 A default profile configured option is provided for allowing tool to load MBOX file on its own. The software is having a smart feature to auto-detect file, just by email client selection. For successful working of this option, one needs to set their MBOX email client profile as default mailing profile on the machine. 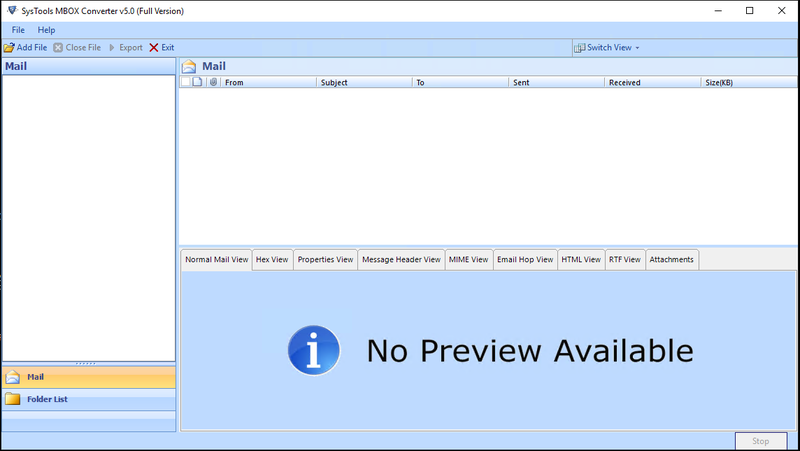 MBOX to MSG converter equips preview of all emails with their technical specifications. The panel of the tool is having a list of MBOX folders, which are arranged in a tree-like structure. One just need to click on the folder whose emails are to be displayed on the preview screen. The .mbox to .msg file migrator provides a most useful feature to perform selective conversion. 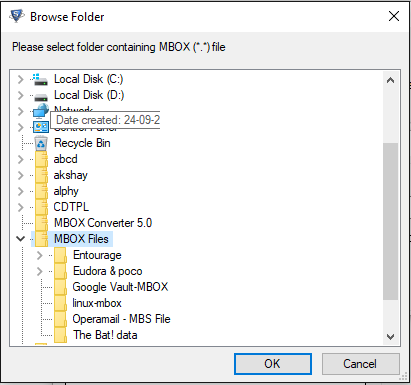 It is possible to export emails of a particular MBOX folder with help this software. 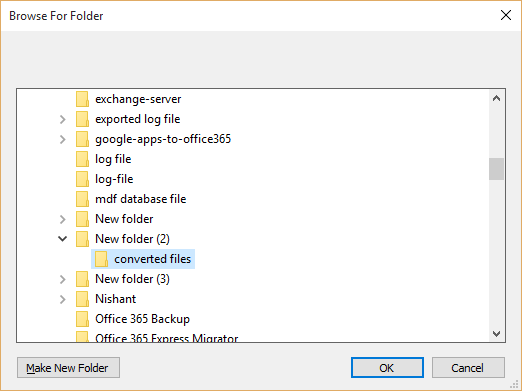 Activate ‘Export Selected Folder’ option and then, users will be able to choose desired folders from browsed .mbox files. Instead of saving output MSG files on default location, users are free to save them on any other path. After conversion, when one proceeds for file saving, the software provides Browse option to customize file location. MBOX to MSG converter permits users to convert MBOX to MSG without any restrictions. It is now possible to be updated with the number of items exported by the software. The tool displays live progress report of the file conversion with option to interrupt the process in between. A detailed report in HTML format is also generated by this software for the future reference. 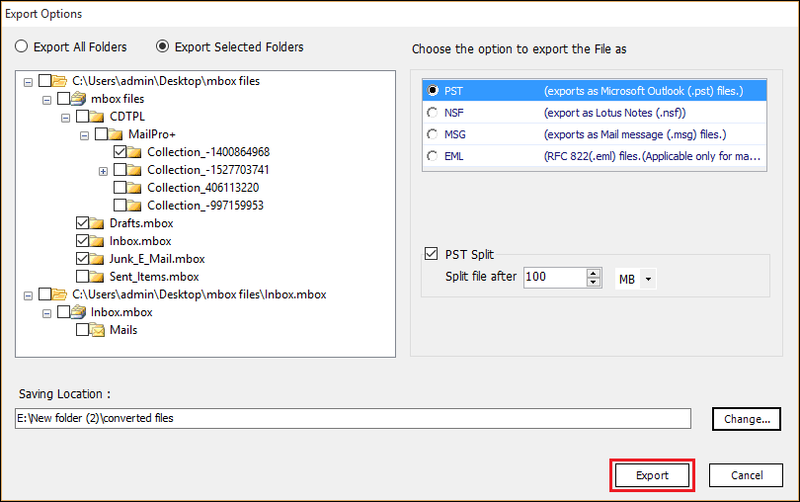 Will I be able to export only few emails of a specific folder with help of your MBOX to MSG Converter? 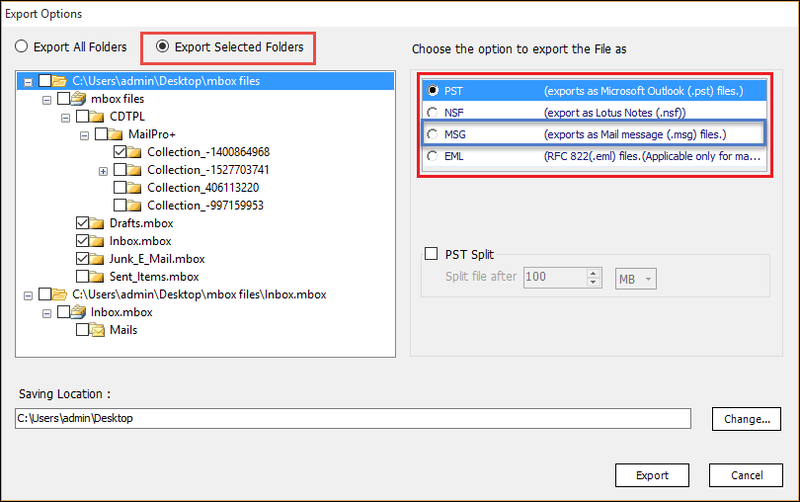 What is the size limitation of MBOX file to export emails in MSG file format? There is no MBOX file size limitation imposed in our software. File of any size and number will easily be migrated with help of our tool. Does your software support MBOX file of Apple Mail email client? Yes, no matter from which application the file is created. MBOX files generated from Apple Mail, Thunderbird, Google Takeout, Entourage, etc., all will be supported by our tool. Is it mandatory to have Microsoft Outlook installed on machine for MBOX Emails to MSG conversion via this product? No, our software is totally a standalone utility that converts MBOX File to MSG without any dependency concern. Click on Three-Dots icon to either browse one MBOX file for the conversion or several files. Remember that you have to enable Use Folder Mode to add a folder, having multiple MBOX files. Suggestion : If you want to maintain MBOX folder structure in resultant then, activate Maintain Folder Hierarchy option. All the data of MBOX file gets scanned thoroughly by our software. Once the scanning gets completed, the folder with respective emails gets loaded on the screen. Emails in different viewing styles are provided by our utility for a deep analysis. Click on Export button from the toolbar and select Export All Folders option. Now, choose MSG option from the Export File As section. 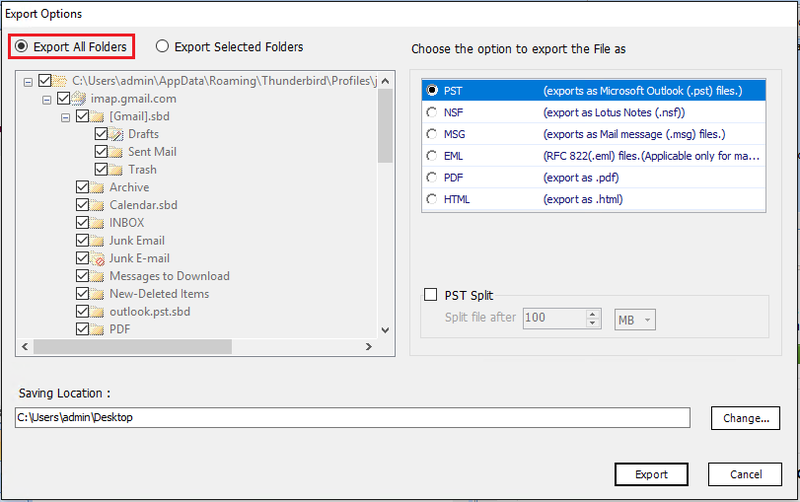 Enable the Export Selected Folders option from Export window and choose MSG option from Export File as section. An Export Progress wizard will appear in front of you. This window will be giving you live report of total items exported in MSG file format. You will also be able to know name of those folders whose emails are currently getting exported by the tool. "The software provided me a significant functionality to export MBOX to MSG format. Previously, I had gone through many techniques for the same but, none of them were worth. When I used this product, I found as if it was made for me. All my technical requirements are fulfilled by the MBOX to MSG converter. Personally, I found the product reliable for my purpose." "Manually it is difficult to convert MBOX to MSG file with attachments. Because the integrity gets compromised, if conversion is made with attachments. Therefore, the only solution was to use a third-party application to save MBOX emails in MSG. I used this software, which not only exported emails with attachments but, also provided excellent features for the selective conversion."